Offering fun and fabulous original artwork, gifts and home decor for sale. 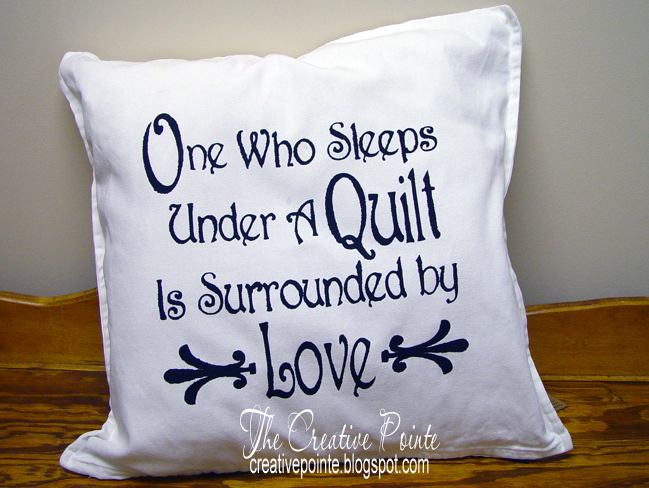 This hand painted pillow features a lovely sentiment for all those lucky enough to have a quilt on their bed: "One Who Sleeps Under A Quilt Is Surrounded by Love"
A perfect accent to your home or bedroom or give as a one-of-a-kind gift! Off white cover. Black lettering. 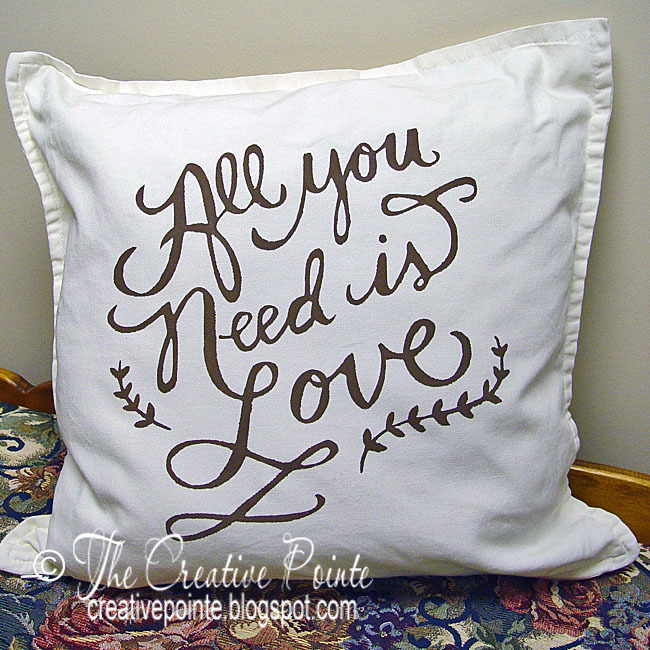 Pillow measures 20" x 20" with a zippered bottom. 100% Polyester fiber inner. Machine washable. 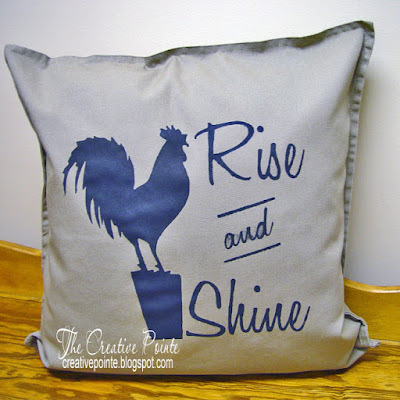 This hand painted pillow features a crowing rooster silhouette with the perky sentiment of "Rise and Shine". Khaki color cover. Black silhouette and lettering. 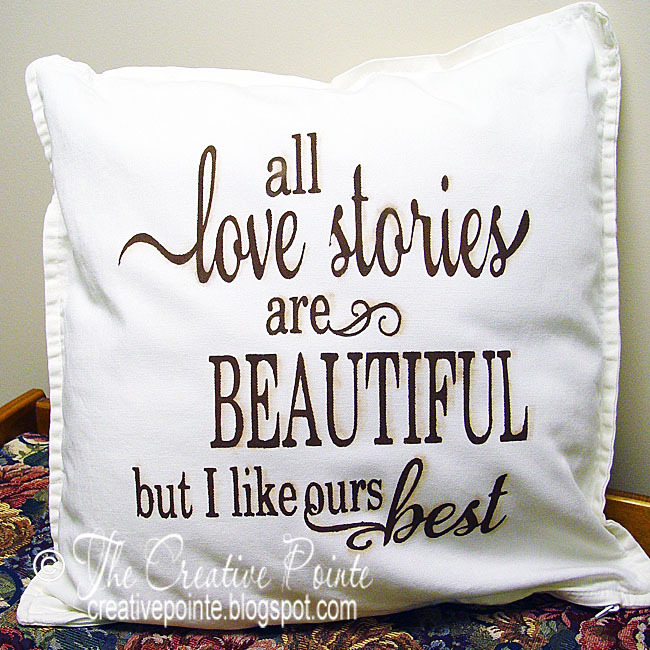 Pillow measures 20" x 20" with a zippered bottom. 100% Polyester fiber inner. Machine washable. "Home Sweet Home" on the jar. The top of the jar features a painted grape vine with pink flowers and leaves. a wonderful house warming gift! Off white cover. 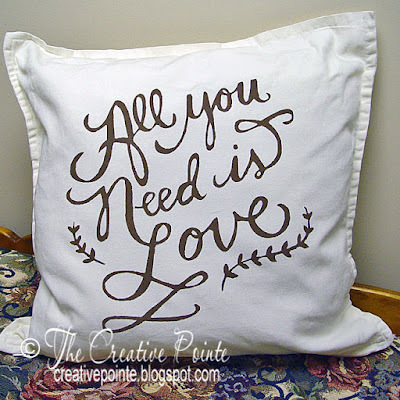 Pillow measures 20" x 20" with a zippered bottom. 100% Polyester fiber inner. Machine washable. A sign that tells the Christmas story in two words and a simple nativity. Hand painted on a gray background. 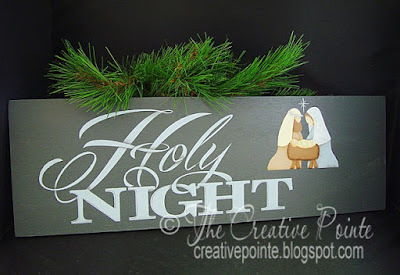 Lettering is a light gray and the figures are painted in a chalky style. Sign measures 18.5" x 6" x 0.5". Saw tooth hanger on the back. This cute little ginger man looks good enough to eat! 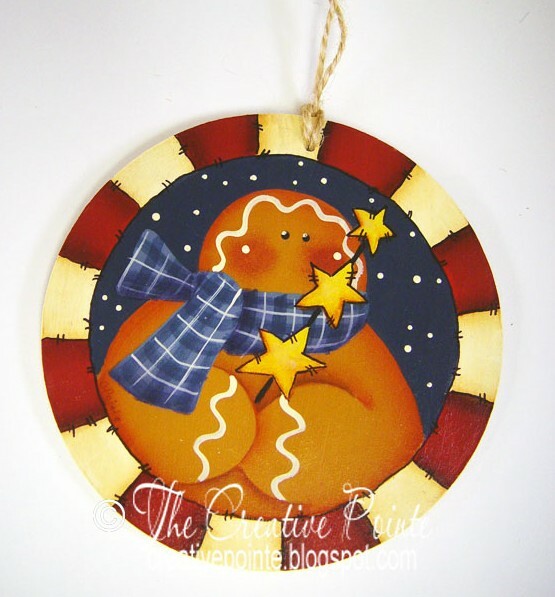 He is hand painted on a round wooden ornament. Four inches in diameter and .125" thick. 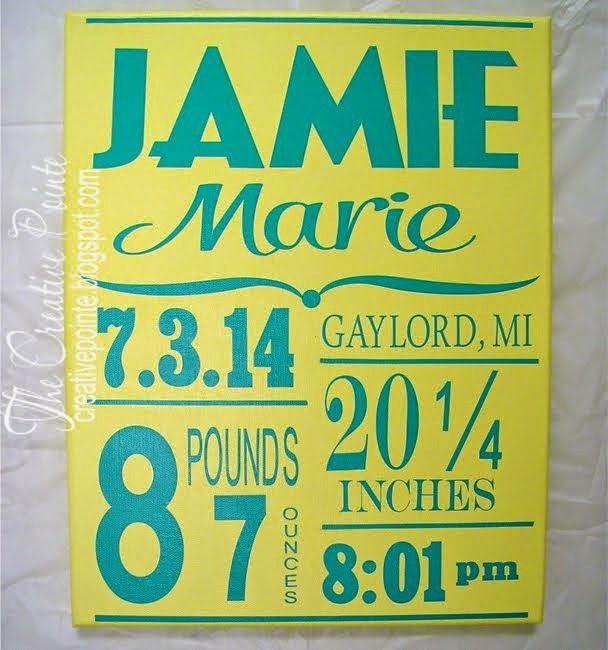 a wonderful wedding gift for a special bride and groom. Off white cover with brown lettering. 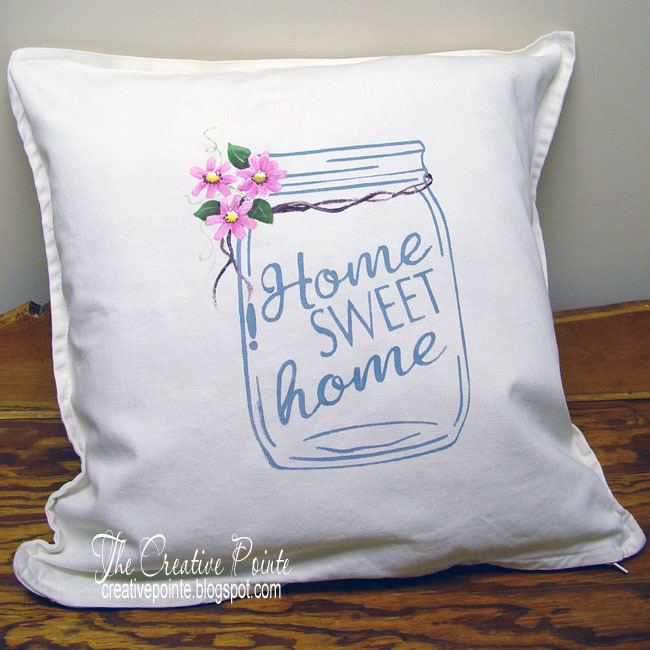 Pillow measures 20" x 20" with a zippered bottom. 100% Polyester fiber inner. Machine washable. 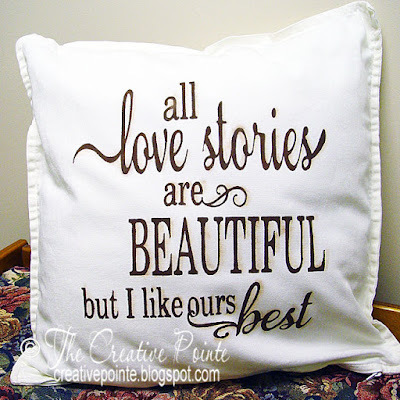 "all love stories are BEAUTIFUL but I like ours best"
a wonderful wedding gift for a special bride or groom. Keep up with the Moo! All artwork created by me are subjected to copyright.. Watermark theme. Powered by Blogger.